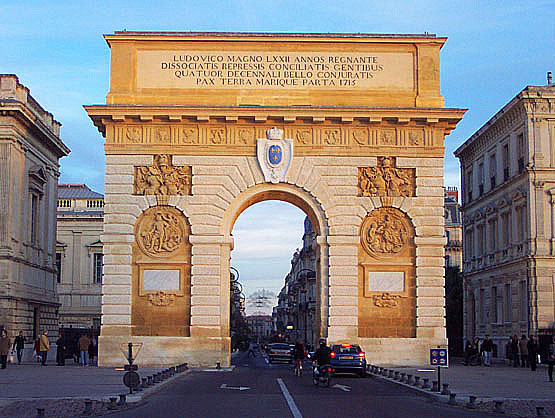 The Porte du Peyrou is a triumphal arch in Montpellier, in southern France. 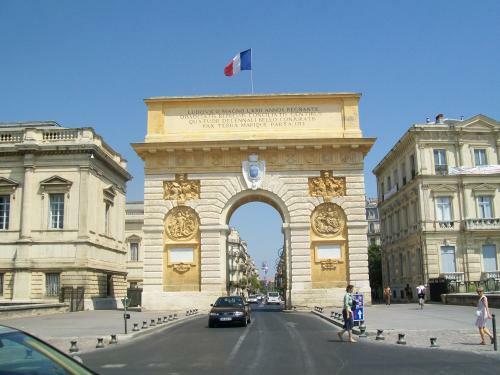 It is situated at the eastern end of the Jardin de Peyrou, a park near the center of the city. 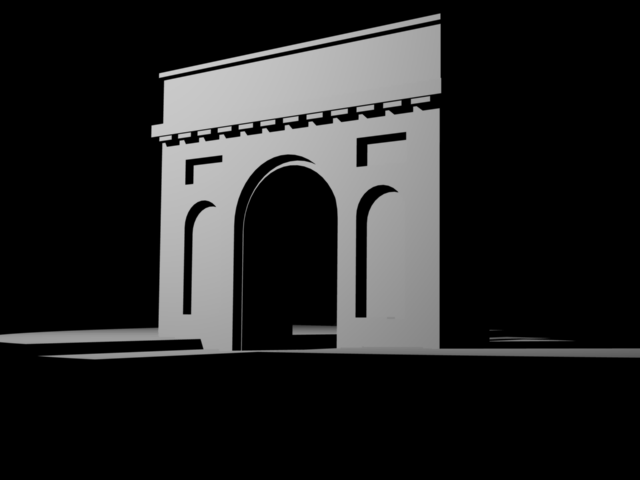 The arch was designed by François Dorbay, after the model of the Porte Saint-Denis in Paris. Its construction was completed in 1693. 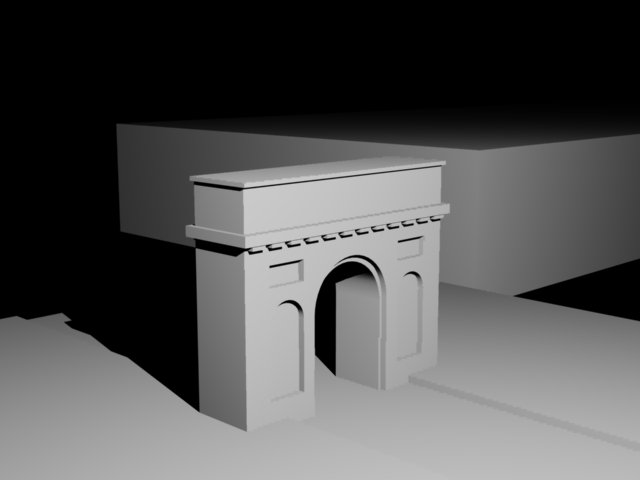 Its rusticated surface is crowned by a Doric entablature, suitable to a martial monument. Its later panels in bas-relief and inscriptions glorifying King Louis XIV of France were added in 1715. 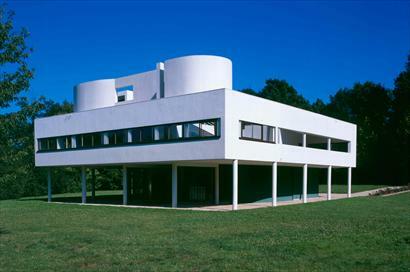 Villa Savoye is a modernist villa in Poissy, in the outskirts of Paris, France. It was designed by Swiss architects Le Corbusier and his cousin, Pierre Jeanneret, and built between 1928 and 1931 using reinforced concrete. 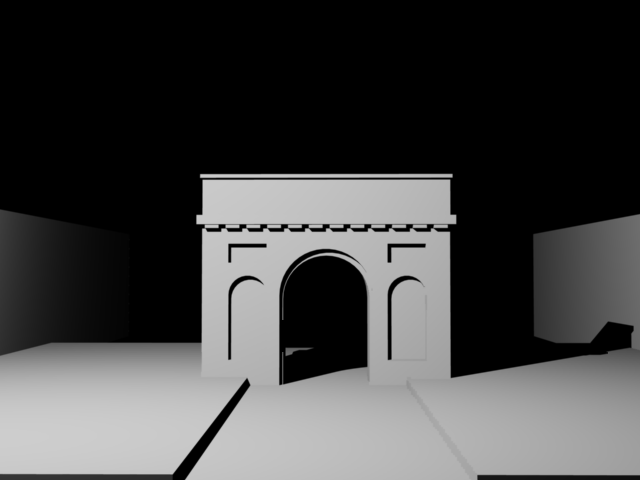 A manifesto of Le Corbusier's "five points" of new architecture, the villa is representative of the bases of modern architecture, and is one of the most easily recognizable and renowned examples of the International style.